Canada has the best reputation in the world, so perhaps it shouldn't come as a surprise that we've got some admirers. But national plagiarism? Isn't that going a little far? Not according to CNN, which published a piece for Canada Day on Monday titled "How to pretend you're Canadian when you travel." The story argues that even though the Bush years are over, Canadians still often get better service when travelling abroad. 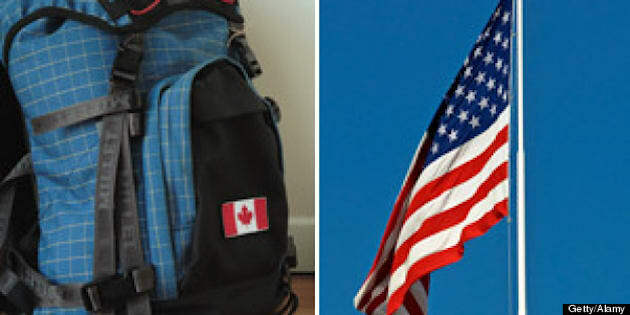 CNN borrows many of their tips from a video posted by FlightNetwork.com, which shares insights on how one can use typical Canadian body language to spot Americans disguising themselves as Canucks. The other tips? Say sorry a lot and remind everyone you meet about how many Canadian celebrities there are. While the advice may not be particularly novel, it seems to have resonated with readers. The piece has more than 15,000 recommends on Facebook and has generated nearly 3,000 comments. But if Americans travellers really want to appear Canadian, maybe they should actually take the time to learn a little about our country. Why not start with getting a grip on what Canada Day is all about? Or, better yet, why not just take a look at our list below of some of the things Canadians really wish Americans would learn already.